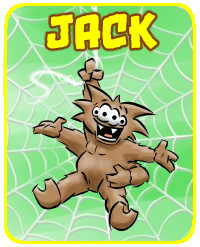 Jack is an eight-legged freak! 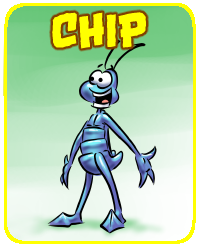 Originally the design for Jack was just 2 arms and 2 legs. When people saw it they all said he needed another pair of arms. I agreed and now Jack has 4 arms and 2 legs. Yet spiders have 8 limbs. There’s now way I’m gonna clutter up my drawings with a ton of limbs, so I figured I’d ‘explain’ things with this strip. I’ve never seen the movie with the same name. I should check it out soon. 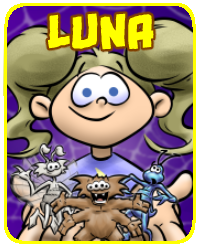 My comic is about bugs, after all. 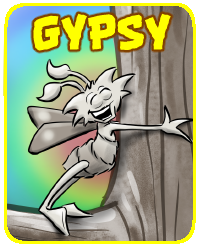 GYPSY: "You know, I thought spiders were supposed to have eight limbs." GYPSY: "where are the other two?" JACK: "It's easier just to show you..."
JACK: "Hey, you wanted to know." This is all very cool, John!